I love this hand lettered quote from artist Alexi Reid. The quote itself is from renowned author Neale Donald Walsch and it's a beautiful reminder to push ourselves outside our comfort zone and see what amazing things unfold! 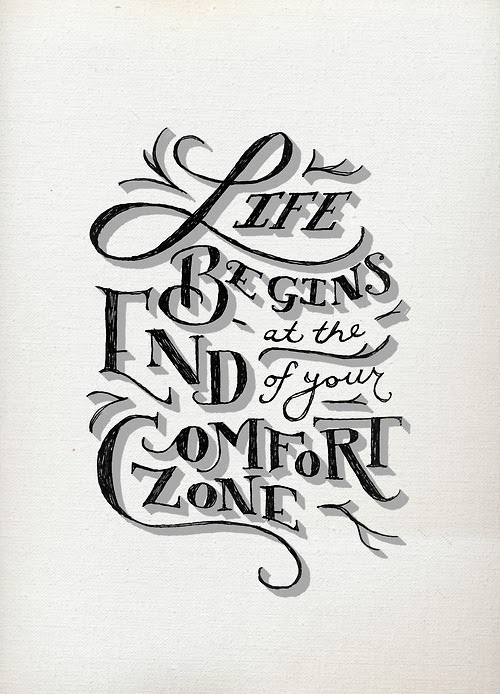 What's one thing you can do outside your comfort zone this week? Would love to hear your thoughts! Hope you have an inspired week - Happy Monday!